This was my second time reading a book by Moore, and I wasn’t too impressed. I found only about 50 pages in (when I was very confused) that this was in fact the second book in a Vampire Love Story series. The story starts with Tommy waking up and finding his girlfriend has turned him into a vampire. It added some comedic elements – Abby Normal was probably my favorite of it all. Tommy’s girlfriend now has to teach him how to be a vampire when she doesn’t even know herself. They are also trying to hide from the cops who believe they have left town. Overall, I wasn’t as impressed with this book as I was with Fool. the story seems over the top, the characters weren’t my favorite and there were many things I thought they could have focused more on instead of others. 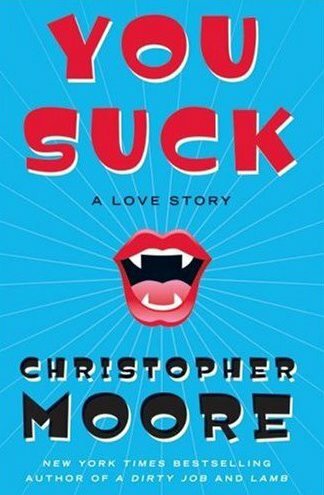 I doubt I will read the other two parts to the story, but it was interesting getting another taste of Christopher Moore’s writing. 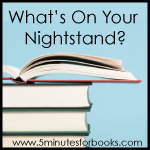 I felt productive in my nightstand reading for this past month, even though I still have some books left over. 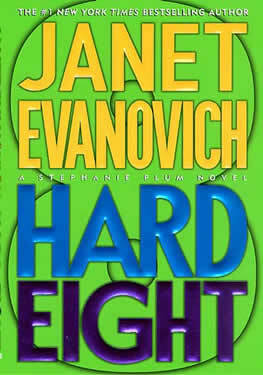 I have managed to finish quite a few books recently – Hard Eight by Janet Evanovich being the most recent – and feel that next month will only increase that. I am however taking on some larger books which may slow down the quick reads in between. I think it’s time I start keeping my list short and sweet. My series books should be quick and easy, one from the list is a emailed copy, another an audiobook, and one is extremely large. Here’s to a productive March! I’m starting to understand how as the series goes on, you can start to tire of certain aspects. While I thoroughly enjoyed this book in the series, and everything about it, I am starting to wonder why Stephanie still has so many problems apprehending the easiest of criminals. I know the point of the stories are to give humor to the seriousness of some of her situations, however, fourth time is never the charm. Hard Eight has Stephanie not only working on finding two people who have skipped their court date, but she’s taken a side job of helping a neighbor find her missing daughter and granddaughter. New and old faces arise, Stephanie is being terrorized by a dangerous man who both Ranger and Morelli tell her to stay away from. The one good thing she has going for her is that all the men in her life are willing to come to her aid over and over, protecting her from the bad guys. It was great reading the resolution of book seven, and then having a new cliffhanger all on its own. I’m not sure what book nine has in store, but I’m sure it will be good. I have to take a Stephanie Plum break and read up on some other series, but I will be back to it soon, I’m sure. The month of February for the readalong is hosted by The Literary Omnivore. There was a status updated posted recently and it makes me feel much better about my status in the reading. I just barely finished The Hobbit and am only on disc 1 of the audiobook version of The Fellowship of the Ring. I am still hoping I will catch up and finish by the end of April. If you’ve been with us since the beginning, how do you feel about the narrator compared to the narrator in The Hobbit? Well, since I’m still early in the second book, it’s hard to tell but I think I am enjoying the narrator in the Fellowship of the Ring more. How’s your pace going? Is it smooth sailing or have you found passages that are difficult to get through? It seems awfully slow right now, especially since I am listening to the book and haven’t had much of a chance to spend with it. If you’ve read this series before, is The Fellowship of the Ring, for the most part, as you remembered? If not, is it what you expected or something else? This is my first experience with the series. I’m not a huge fantasy fan so it’s been a challenge and Tolkien has created such a fascinating world. It helps that I have watched the films before and that I’m familiar with the story to help carry me. Are you using any of the extra features- maps and indexes, for instance- in your book? So far I have not, but I anticipate needing them in the future to help as a guide. The prequel to the Lord of the Rings trilogy, not necessary to read the other books by Tolkien but very informative to the back story of the trilogy. The Hobbit is the story of Bilbo Baggins and his journey with a troop of dwarves and Gandalf, the wizard, as they go in search of a lost treasure. We find out all sorts of valuable information from this fantasy story – aimed more at children than adults. As readers, we are pulled into this quest along with the group and feel like we are suffering and traveling with them. Bilbo finds himself in compromising situations that if he told about them back home, no one would believe him. He saved lives, risked his own, and found friends in the strangest of places. He finds the greatest treasure by mistake – introducing us to Gollum – and finds that his search might not have been for fame and fortune, but adventure. It was an interesting book. I look forward to reading the rest, but fantasy is not my first choice to read so it was hard throwing myself in and becoming invested fully in them. I may have made one mistake with this book, and that was watching the movie prior to reading – although it was quite awhile ago when I actually watched the movie. 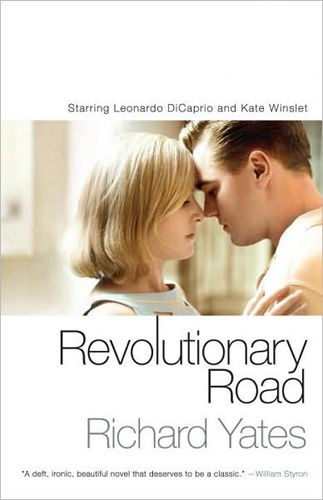 Revolutionary Road is the story of a suburban family who share secret struggles from their friends and neighbors – their marriage isn’t perfect, their children cause constant stress on the relationship, and neither of them is satisfied. When April comes up with the idea of selling everything they own and moving away to try and solve their problems. One the quite Revolutionary Road, no one knows what April and Frank Wheeler are thinking or doing. They seem like an ordinary 1960s family. But past transgressions and pressures have resurfaced and April is struggling to survive her perfect life. It was a very interesting story and while long it was still a glimpse into the life of a family and what the time period may have been like. I vaguely remember the details of the movie but I still felt like there were many differences between the two. It also painted a picture of what Frank and April looked like having seen the movie. I’m looking forward to re-watching the movie and comparing all over again.